A holiday near Bolzano offers a setting of vineyards and orchards and a varied and fascinating landscape. The imposing peaks of Catinaccio and the Sciliar massif are close at hand. On one side there are mountains, and on the other an almost Mediterranean environment, offering a rare variety of landscapes. You can discover the beauties of the Bolzano area on your own - or you can read our tips for a delightful holiday in this region. Buy a few items, discover new trends, look into shop windows and watch passers-by: this famous shopping street under the arcades in Bolzano is a popular meeting place for people of all ages. You’ll find stylish restaurants, old taverns, picturesque streets and historic buildings with delightful shops. Enjoy a good cup of coffee, relax in the sun, admire the abundance of spring flowers: the central square in Bolzano is named after the “Minnesänger” (singer of love songs) Walther von der Vogelweide, and is the ideal place for a pleasant break. The square also serves as the venue for various events. The impressive Cathedral in Bolzano is well worth a visit, too. There’s a magical, exciting atmosphere, with the cheery sound of logs crackling in stoves; you can hear Christmas songs in the background, and the air is filled with the scent of fir-trees, biscuits and mulled wine: Bolzano’s wonderful Christmas market is the largest in Italy and really shouldn’t be missed! You’ll find him in the South Tyrol archaeological museum, and he’s known as Ötzi, the Ice-man. At the South Tyrol archaeological museum, you can learn all about his life, his journeys and the period in which he lived, as well as admiring this well preserved glacier mummy and many other exhibits. Castel Firmiano is one of the largest fortresses in South Tyrol. It was here that extreme mountaineer Reinhold Messner chose to open his fourth “Messner Mountain Museum”, calling it “The Enchanted Mountain”. The permanent exhibition illustrates the important relationship between mountains and human beings. Another section, housed in the so-called White Tower, documents the history of the castle and its many vicissitudes. The “Guntschna” and “Oswald” Promenades offer a delightful setting and splendid views. The walks take you through the green parts of the city, sometimes hilly and sometimes flat, with lots of exotic and Mediterranean plants along the way: definitely an excursion not to be missed! Welcome back to mediaeval times, and welcome to Castel Roncolo, the so-called “painted manor”. Here you can admire a huge cycle of frescoes with secular themes. These priceless wall-paintings constitute a unique legacy for the history of art in South Tyrol. The visit also allows you to admire a breathtaking view from the top of the rocky spur onto the city of Bolzano below. Surrounded by vineyards, the castle is in a picturesque setting just outside the historic centre of Bolzano. The oldest part dates back to the 12th century. Today, the castle is mainly used for events, exhibitions and weddings and can be visited on request. The cable car between Bolzano and the sunny Renon plateau leaves every four minutes. It is definitely worth a visit! 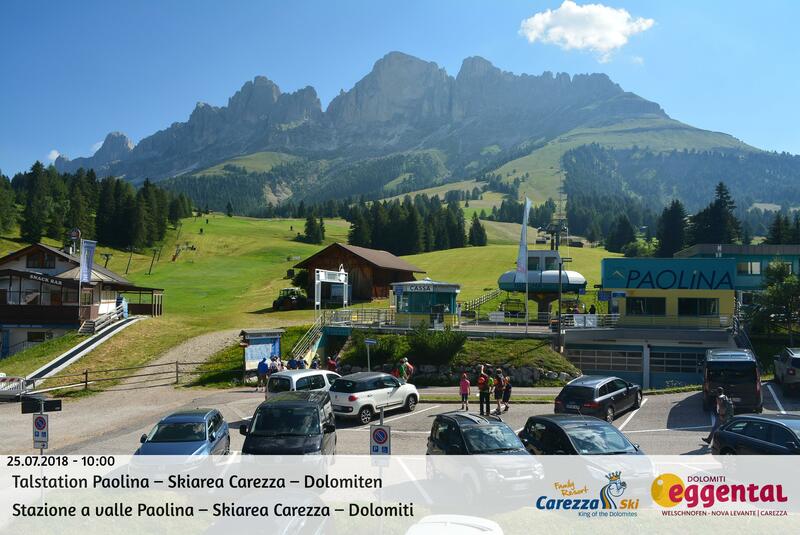 There are lots of attractions: the earth pyramids, the Ritten cog railway, the Corno del Renon with its impressive views of the Dolomites (a UNESCO World Heritage site), the Sciliar massif and the Odle group. On clear days, you can even see as far as the “king” of the South Tyrolean peaks: Mount Ortler. Are you keen on art? Then you’ve come to the right place. There are over 4,500 works of modern and contemporary art on show, plus frequent temporary exhibitions featuring artists from all parts of the world. Families with children will also find much to enjoy. It allows you free use of all public transport for 3 consecutive days, and includes entry to Bolzano’s 9 museums and to the 80 museums all around South Tyrol. The card costs € 38.00 and is available at the Tourist Office in Bolzano.